Those looking to take on the Seven Deadly Sins in a more challenging mode can now do so. 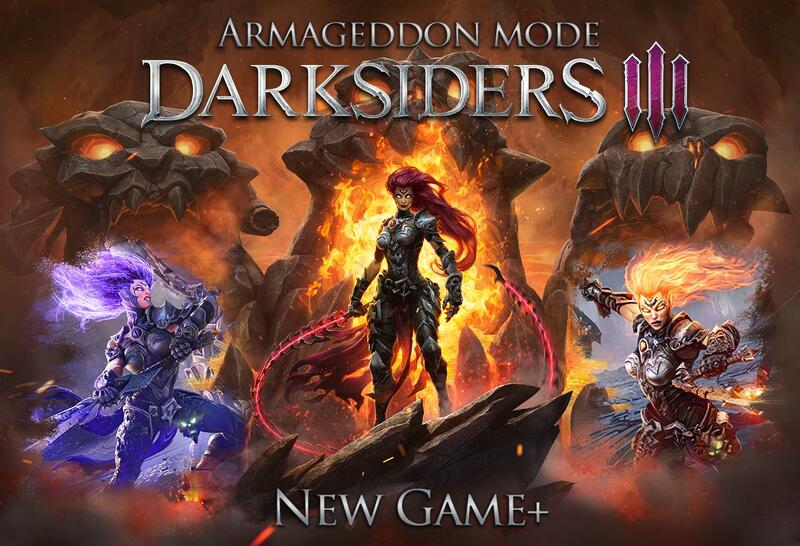 Darksiders III now has new game plus called Armageddon Mode. The mode is free to all users and provides an extra challenge for Fury to take on. Darksiders III is a prequel to the first 2 games. Players take control of Fury, sister to the 4 Horsemen. Contracted by the Charred Council Fury is tasked with killing the Seven Deadly Sins to bring balance to the now ravaged Earth. Unlike other games in the series, Darksiders III is more of a tactical exploration game with light RPG elements. Players must rely on reading opponent movements and using mobility to their advantage similar to FromSoftware's games. Because of this shift reception has been polarized with some liking the new direction and others annoyed by it. The developers, Gunfire Media, have their upcoming project, Remnant: From the Ashes, releasing this August as well. Darksiders III is now available for PS4, PC, and Xbox One. Check out our review here.